Mexico City, December 15, 2016. 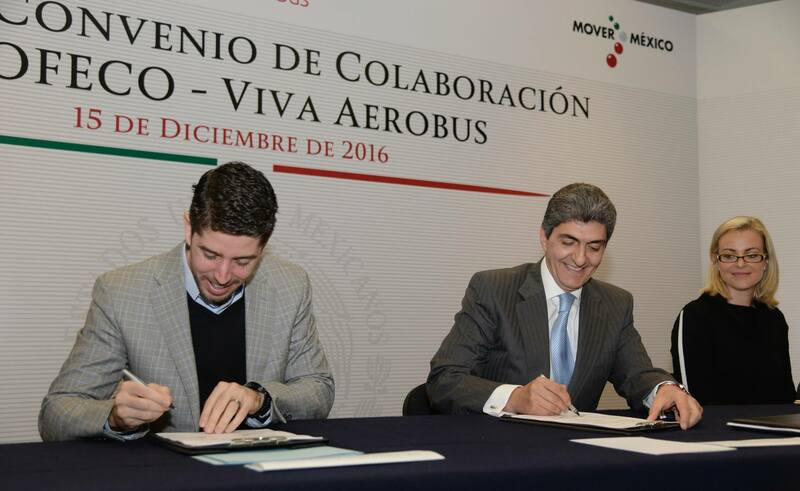 - As part of its commitments to its passengers and looking forward to promote the best practices in the aviation industry, the Federal Consumer Protection Agency (PROFECO, for its acronym in Spanish) and Viva Aerobus signed a collaboration agreement committing to undertake actions aimed to promote and protect the rights of passengers who contract the services of the airline. The agreement includes the elaboration and diffusion of a Decalogue of Consumer Rights. Its purpose is, through a video, to inform the passengers about the rights that the users of Viva Aerobus have. This communication product will be located in the counters area of Mexico´s low cost airline. During the ceremony that took place at PROFECO headquarters, Viva Aerobus reaffirmed its commitment to comply with the Federal Consumer Protection Law and showed its willingness to spread this Decalogue through a video in multiple communication platforms. It is important to mention that Viva Aerobus, as part of its renewed customer focus, has been implementing important improvements since 2015 in its service. Since then, more than 25 initiatives to improve the travel experience of its passengers can be appointed. Among them, there is the possibility to make any change of name, time and route in the reservation without additional cost during the first 24 hours after its purchase; quieter flights thanks to this year's renewal of the airline's fleet; more payment methods; new travel arrangements for business travelers and families traveling with babies; or the 72-hour response guarantee; which, among others, reinforce Viva's commitment to its customers. Juan Carlos Zuazua, General Director of Viva Aerobus and signatory of the agreement, stated that "steps like this one are clearly aligned with our vocation of customer service. Not only we will duly comply with this agreement, but we will always stand out for our disposition of going further. Our customers know this and that's why they trust us." Viva Aerobus keeps a reduction in the total number of complaints presented to PROFECO in relation to the growth of the number of passengers transported. 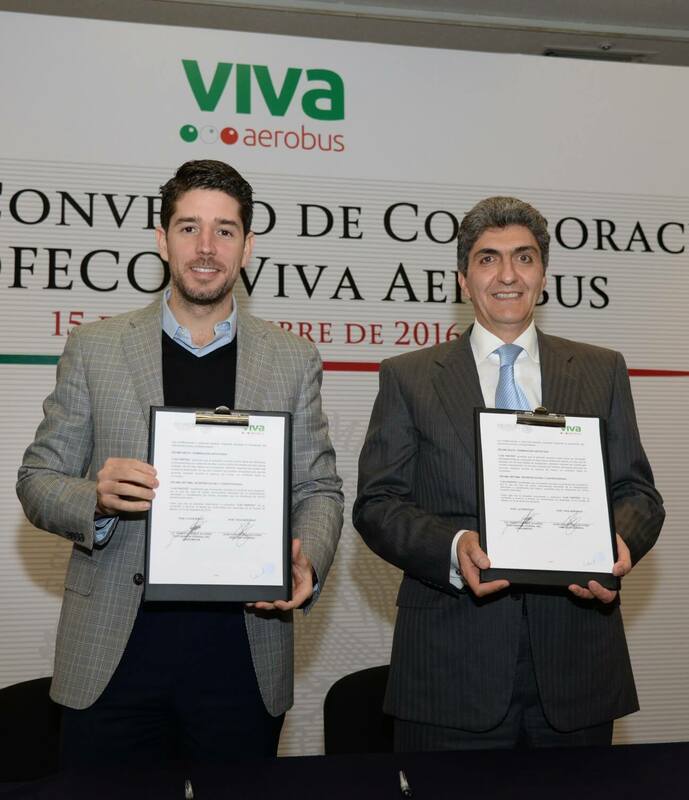 Therefore, Viva Aerobus and PROFECO renewed last October the collaboration agreement for the use of the digital platform "Concilianet", which speeds up the presentation, processing and resolution of possible claims.